In true Boulder spirit, The Moving Connection was born not out of a calculated business decision, but from the demise of a rock band. The year was 1989 and drummer Glen McGinty suddenly found himself to be the sole proprietor of a big purple truck that the band had used to haul around its equipment. So Glen went into the moving business. In 1991, Glen met Dave Moloney, a classically-trained chef from Ireland who was running a local alternative bakery (dairy-free, gluten-free, and vegan). As Boulder grew so did the company, so Glen talked Dave into moonlighting as a mover. Dave loved the business idea and only two weeks later, he bought the company! Dave owned The Moving Connection until 2017. After 28 years, Dave decided to sell The Moving Connection to another longtime Boulder family who has been serving Boulder area since 1997. 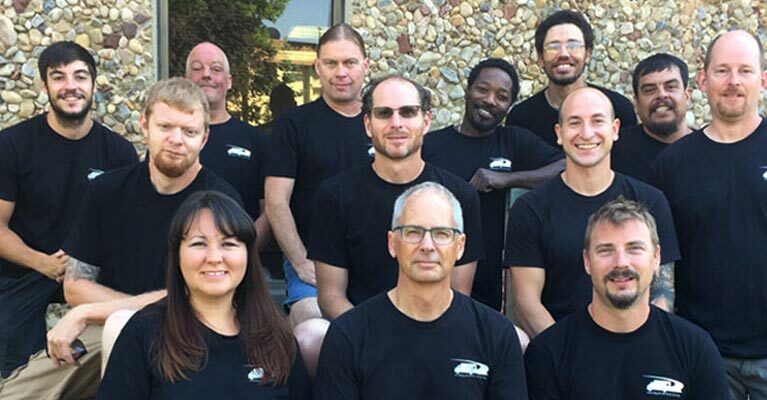 The Moving Connection employees enjoy working for The Moving Connection and support the company values. Most of our Movers have been with the company for years, which makes them true experts at every aspect of their jobs. 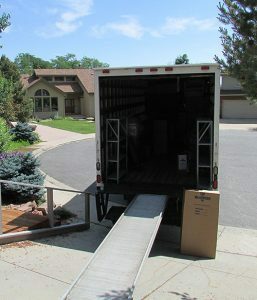 Since its humble beginnings, The Moving Connection has grown into Boulder’s most trusted and experienced moving company. One thing that has never changed in all that time is our commitment to being an integral part of the Boulder community.